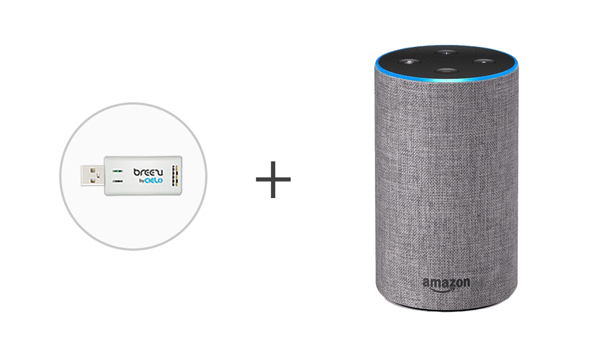 Breezi is designed for Air Conditioner OEMs to help you launch smart air conditioners in minimal time with no additional R&D costs. 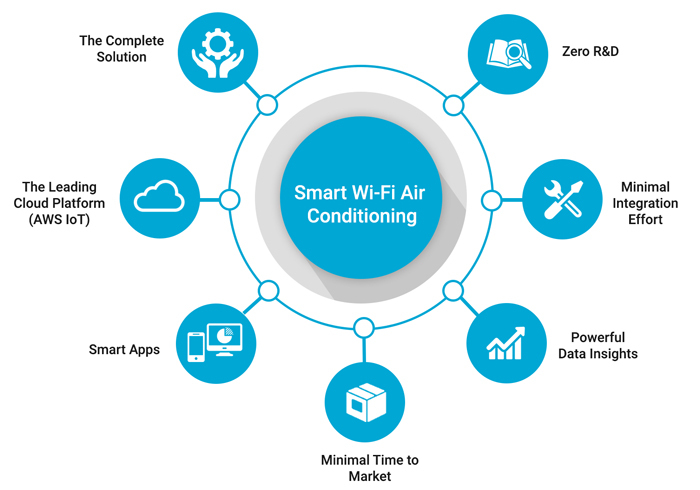 Turnkey smart AC solution that enables original equipment manufacturers (OEMs) to turn their air conditioners into a smart appliance without the need for expensive and lengthy R&D cycle. We offer a proven & complete solution that has already been adopted by various brands. Cielo Breezi has what it takes to move your brand to the next level. 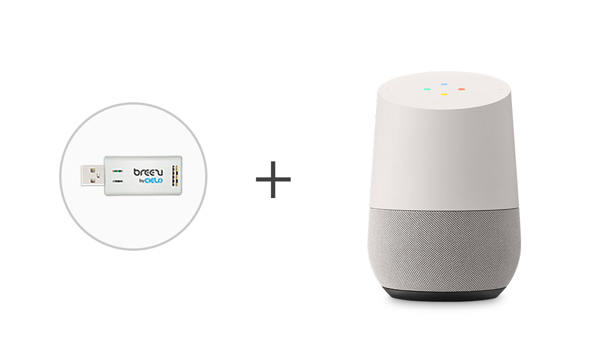 Breezi is designed for OEMs to help them launch smart air conditioners in minimal time with no additional R&D costs. 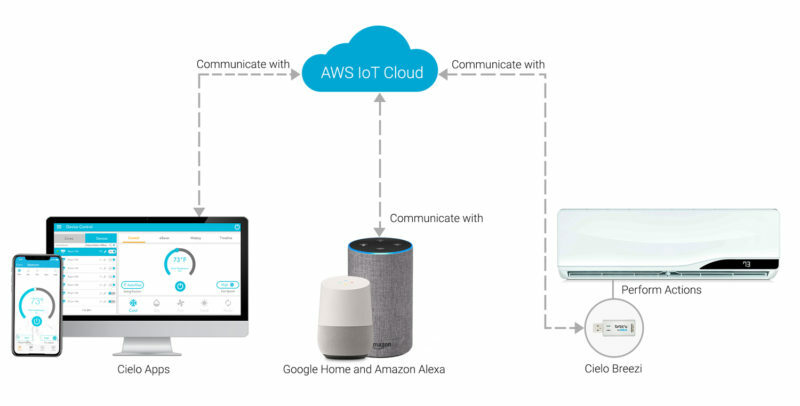 Cielo Breezi Wi-Fi Controller for Heat Pumps & Air Conditioners is tailor-made for OEMs to enter the world of smart heating and cooling. Manufacturers are welcome to join hands with Cielo to launch their Smart Heat Pumps & Air Conditioners. You will stay ahead in the industry with increased sales. Partnering with Cielo means zero time to market, greater customer loyalty, competitive edge and most importantly the surge in sales. Customers want to control their ACs from anywhere. Your smart air conditioner offering will act as a catalyst for speedy adoption of your ductless AC systems. It will add more value to your air conditioner and will lead to greater sales. Most importantly it will increase your brand loyalty in the market. 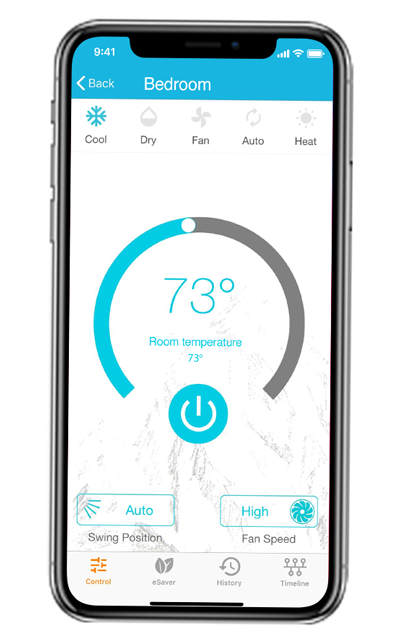 Control your air conditioners and heat pumps through smartphone from anywhere in the world. Powerful 7 day scheduling functionality helps you schedule your ACs as per desired settings and time. Automatically turn your AC on before you arrive and switch your AC off automatically after you have left the premises. Monitor live status of air filter cleanliness level of your AC. Clean AC’s air filter once it crosses the threshold. Create air conditioning zones. Single touch control for all ACs & Heat Pumps by creating zones. Keep track of your heating or cooling usage to control your electricity costs. Save energy; save money. Check a complete timeline of actions of your AC. Check who is using your AC, what settings are being used and when. Save up to 25% on your electricity bills by using various features of Breezi Smart air conditioner Controller. Away from your home? No worries! Download our free apps from App Store or Google Play by searching for “Cielo Home”. Adjust the temperature of your mini split, change modes of your AC, check live air cleaner filter status, see your heating or cooling usage history and more from anywhere. Download our free apps from App Store or Play Store by searching for "Cielo Home". Adjust the temperature of your mini split, change modes of your AC, check AC's air filter status, see your heating or cooling usage history and more from anywhere. 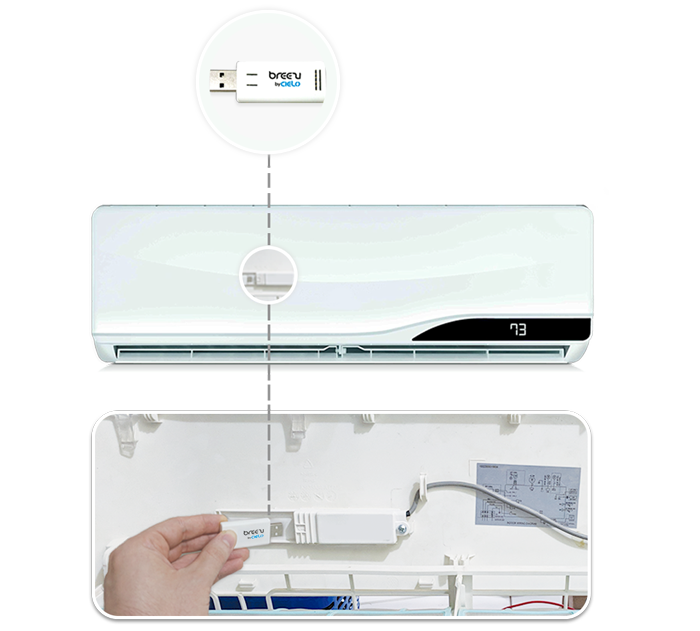 Want to effortlessly convert your AC brand into a smart AC brand?